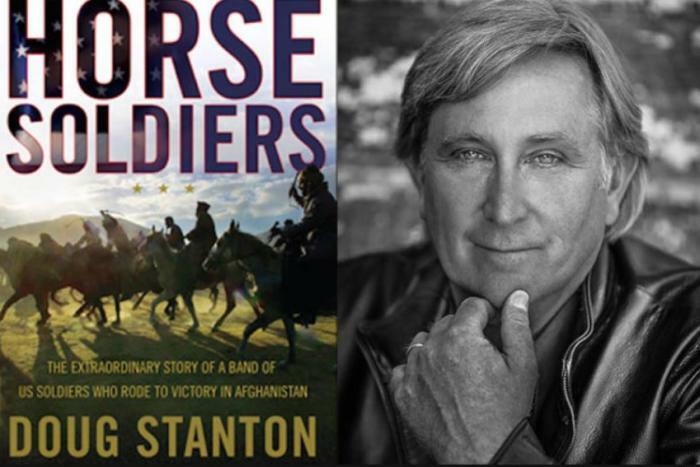 TRAVERSE CITY, MI: The snowy town in northwest Michigan celebrates the release of 12 Strong, a film based on New York Times bestselling non-fiction book Horse Soldiers written by Traverse City native Doug Stanton. The movie stars Chris Hemsworth and Academy-Award nominated actor Michael Shannon, and follows the first Special Forces team deployed to Afghanistan following the September 11 attacks. The movie is officially released on January 19th. The January 18th advanced screening includes a Q&A with Stanton and other personalities behind the film, while a January 19th showing at Cherry Blossom Theater supports Project Cherry Tree, an advocacy program for veterans&apos; benefits in northern Michigan. Both events sold out soon after their announcement. For showtimes of the "condensed" story, film goers can visit 12strongmovie.com.